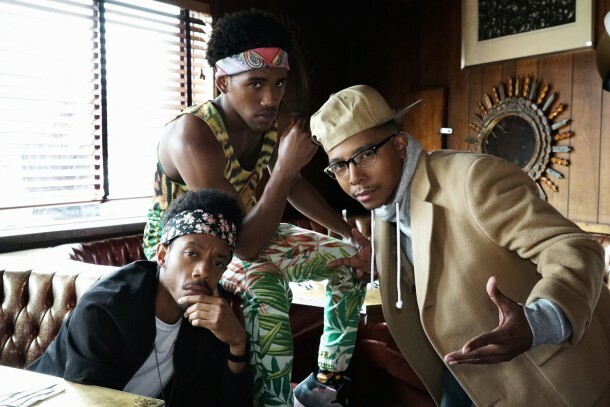 YOU’RE THE WORST — “All About That Paper” — Episode 204 (Airs Wednesday, September 30, 10:30 pm e/p Pictured: (l-r) Darrell Britt-Gibson as Shitstain, Brandon Mychal Smith as Sam, Allen Maldonado as Honeynutz. Check out two clips for You’re the Worst, including tonight’s promo and a scene from last week’s episode. Season two continues Wednesdays at 10:30 PM PT only on FXX. You’re the Worst – Next On: All About That Paper ~ Jimmy spends the day with an eccentric author on a day-long job interview. Gretchen deals with a work crisis. Edgar discovers the magic of improv comedy. And Lindsay gets served with divorce papers. You’re the Worst – That Kiss Though : Selected Scene – Episode 3 ~ Desperation. It’s a powerful thing. Watch this SELECTED SCENE from Season 2, Episode 3 of You’re The Worst.